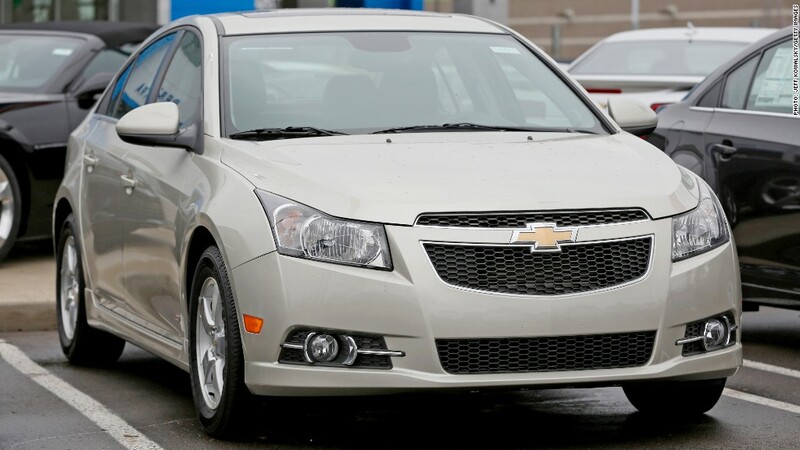 GM has asked dealers to stop selling some 2013-2014 Chevy Cruzes due to an airbag issue. General Motors has told North American dealerships to stop selling Chevrolet Cruze cars from model years 2013 and 2014. There may be a problem with the airbag in some of the vehicles, said GM spokesman Jim Cain. The automaker is currently working with the supplier to determine which specific vehicles may have a defective part. It expects to resume sales of those cars that are not affected by the end of this week. The Cruze is GM's best-selling car model in the United States, selling 248,000 last year. The stop-sale comes as the automaker is in damage-control mode for delaying the recall of 2.6 million vehicles for an ignition switch defect that's been tied to at least 13 deaths. Some GM employees knew the part was causing trouble more than a decade before the recall was issued in February. Now, GM (GM) is facing dozens of lawsuits and a number of investigations concerning how they handled the recall. Since February, the automaker has kept adding to its recall list -- some for issues unrelated to the ignition switch defect. So far this year, it has recalled more than 20 million vehicles worldwide.